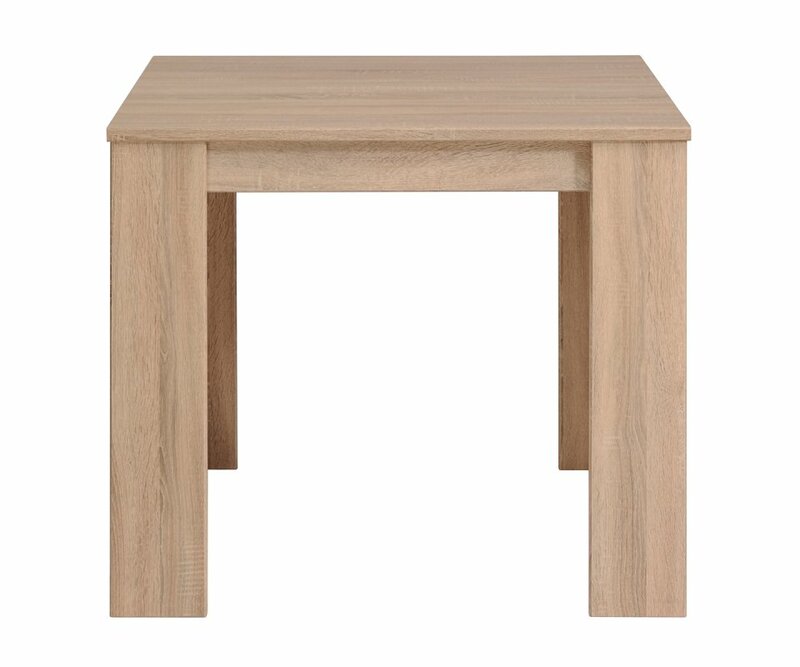 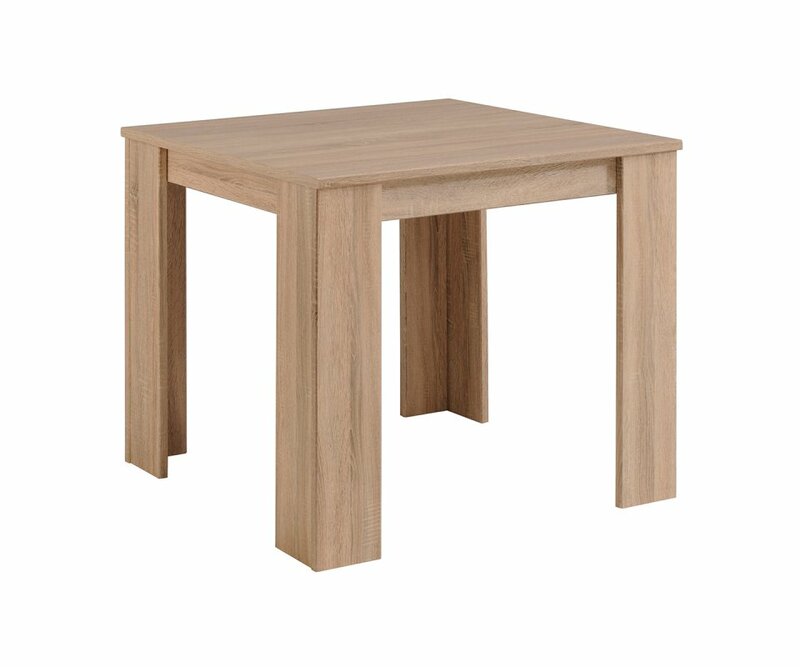 The Karan Dining Table makes a neat 36” square for serving four people, perfect for eat-in kitchen or dining area. 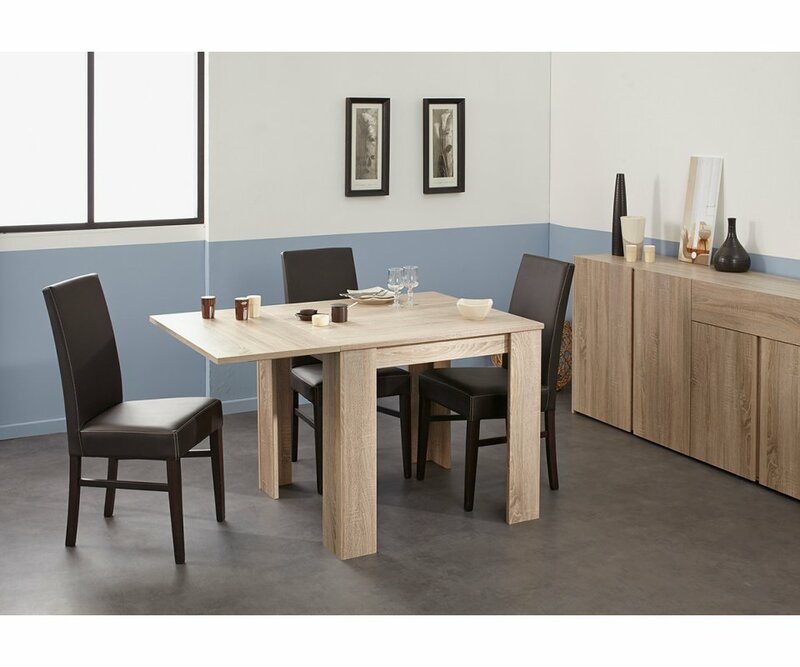 When guests are on the way, add extensions that provide seating for 2-4 more to dine in comfort! 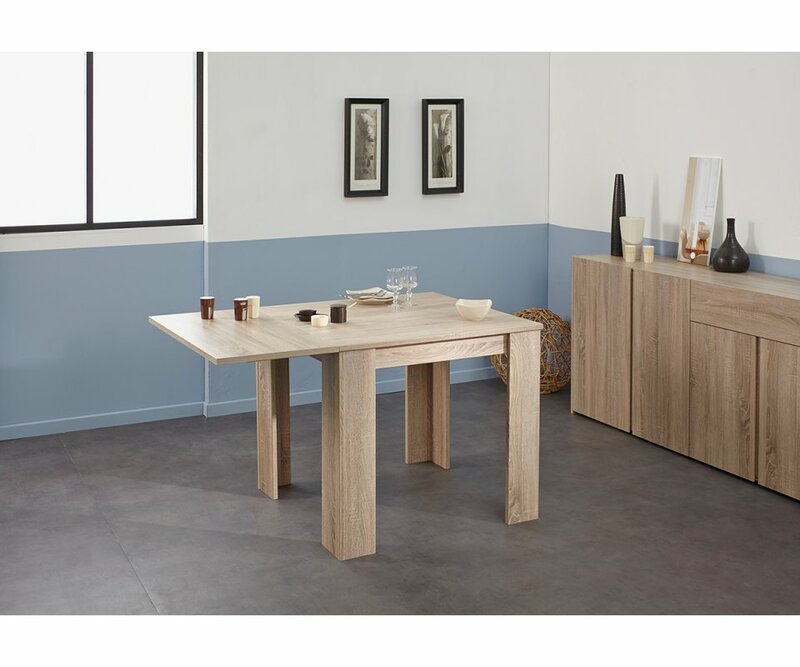 The table is durable and strong, built from top-grade MDF boards and finished with premium veneer that resists scratches, stains, water ring damage and fading. 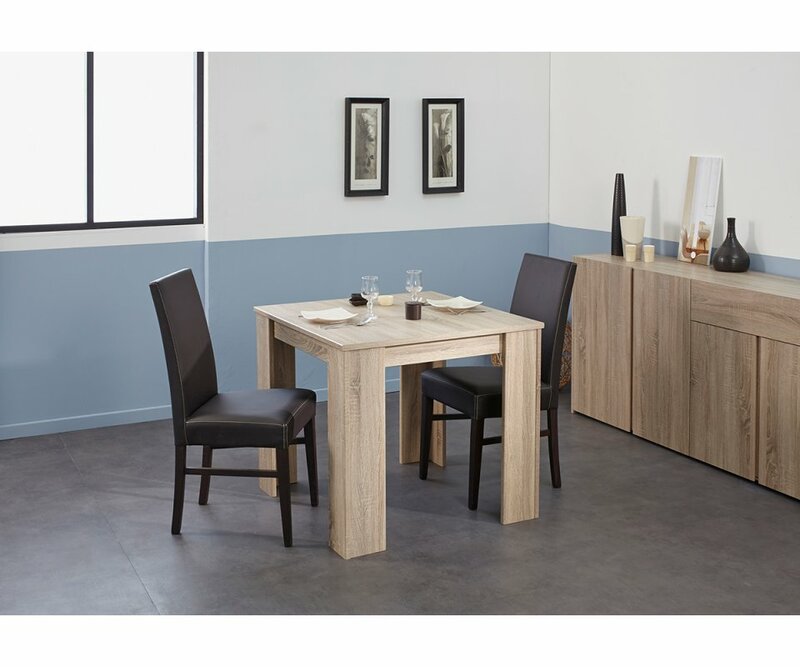 The Rough Oak veneer is light and neutral in shade, and will coordinate with almost any decor style or color palette you have in your dining area. Extension are flat, with straight arms that lock into the table, providing sturdy support, and will stow away easily, taking up little space. 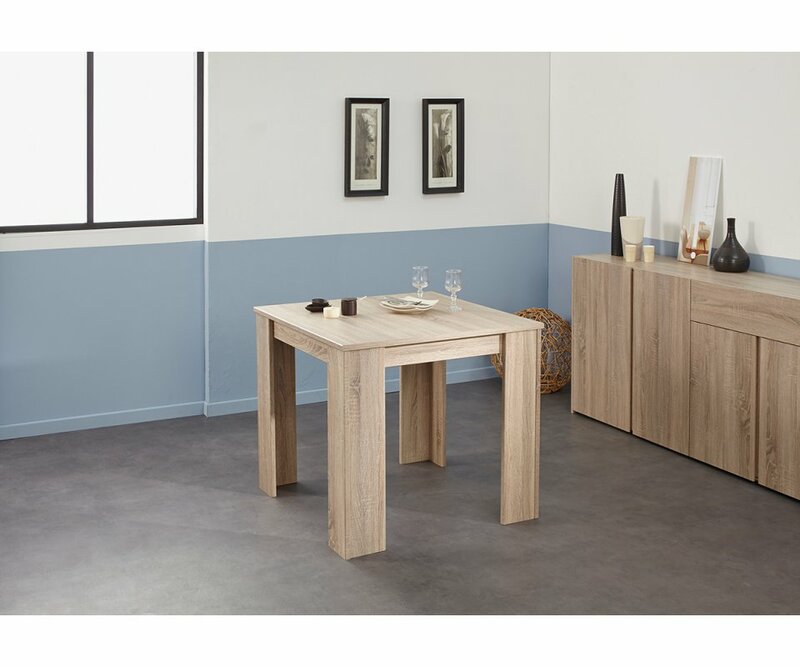 The Karan table is the perfect solution for smaller homes, apartments, condos and studios, combining elegance and seating when you need it!